I just wanted to say how impressed I was with your store in Lafayette! 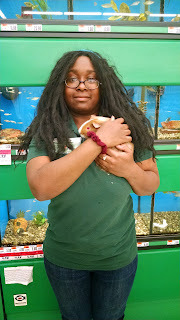 I went to Petsmart to ask questions about food I need for my puppy i'm picking up next week but no one seemed to know anything about giant breed puppies so I went to Pet Supplies Plus. I was impressed with Gloria's knowledge on giant breed dogs! She took the time to explain why certain foods are better than others. She even gave me her business card and a free coupon for the self service dog wash! I will definitely be shopping here in the future! Thanks again!